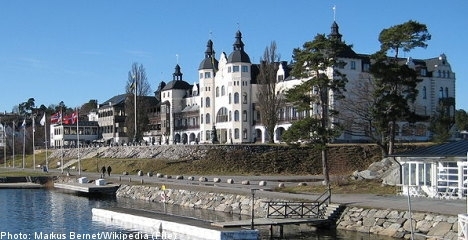 One conclusion of my book  on the Swedish case VS: WikiLeaks (the bogus case against Julian Assange) was that the Swedish government – their political and medial elites that obey supranational or corporate interests, or that simply have made a fetish of the notion “superpower” – have deceived the interests of the good Swedish people at large; They have done that on behalf of corporate, financial interests, whose centre is way far from Sweden. This lead us, among other, to the Bilderberg Club. For the highest hierarchies, the gain in this deception is a matter of corporate allegiance, millionaire share-holding profits, positions of international power. In a macro perspective, these changes in Sweden’s corridors-of-power occurred concomitantly with global economic developments at the beginning of the post cold-war era, when Western centres of financial, military and subsequently political power shifted more markedly from governments’ sovereignty to global corporate decisions. 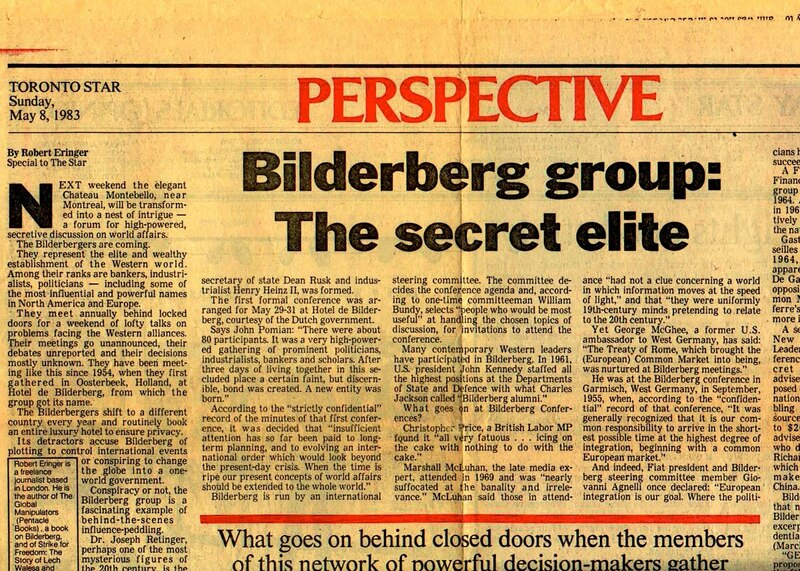 This explains, for instance, the boosted weight during the 90’s of the Bilderberg Group, which conspicuously includes the participation of one of Sweden’s most influential capitalist/politician, Carl Bildt, Sweden’s Prime Minister. 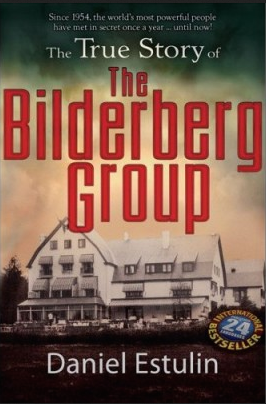 The Bilderberg Group’s attendee list is described as “weighted towards bankers, politicians, and directors of large businesses.”  Denis Healey, one of the founders of the Bilderberg group and member of its executive board during 30 years, stated, “To say we were striving for a one-world government is exaggerated, but not wholly unfair.” Other names from the U.S. in such meetings of the Bilderberg Group: John Kerry, Bill Clinton, Henry Kissinger, Condolezza Rice; From the U.K., David Cameron, Tony Blair, Gordon Brown; Other names from Sweden are the current PM Fredrik Reinfeldt, his Finance Minister Anders Borg, and Mona Sahlin, head of the Social Democratic Party 2007-2011. Mona Sahlin has been supported internally in the Social Democratic Party by Thomas Bodström, the former Minister of Justice and co-owner of the law firm that initiated the reopening of the “Assange case”. For the Swedish middle-range elites and the media, the cultural and military establishment, the gain is also a matter of positions of power and personal career or, in certain cases, of job survival. Many analysts have interpreted the legendary Swedish “consensus” as a cultural inclination of agreeing collectively on issues of national pride, or national interest. In many cases, however, the elites’ disciplined behaviour seemingly has more to do with own political or personal interests than with a cultural consensus. The power abuse includes relatively growing political-economic corruption, of which two examples are reviewed in this book. In both cases WikiLeaks figures either as a source (the Swedish-Telia international bribe scandal of 2013), or as a scapegoat of the Swedish military establishment (the Swedish/Saudi Arabian weapons factory scandal of 2012). The compact Swedish position on Assange and WikiLeaks, and particularly in the initiation and subsequent blockade of a resolution of the “case” in London, has to be understood in the contexts referenced above. The case is undoubtedly political; the legal aspects are a charade. And the question is, where could be trace, historically, the origins of this consensus. Prominent right-wing leaders in different countries, now openly serve the interest of a corporate system which many of them also form part, as shareholders or board members. Traditional “class-struggle” is nowadays negated in most of world societies, after the formerly ideological confrontation between Capitalism and Socialism in the frame of the Cold War came to and end, abruptly. PESCI has also introduced fundamental changes in the culture and academic life of its country-members, not seen in the old “Imperialism” era. A most remarkable feature is that, globally considered, this “over-the-national-borders” identification of interest, class-ideology, and personal economic involvement of those in power, has NOT conveyed a reciprocal internationalism among organizations at grass-root level. 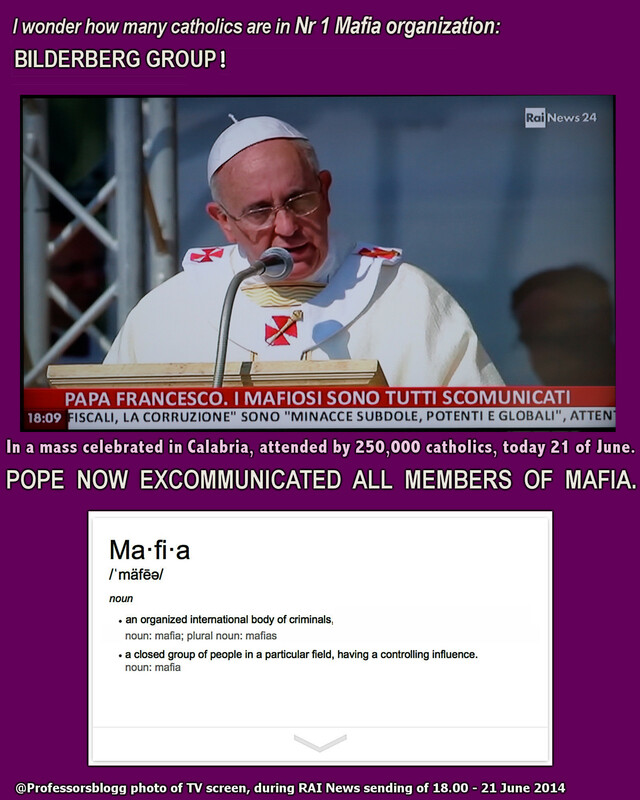 These peoples are instead manipulated to pseudo-chauvinist positions, which avert popular control over their governments – de facto collaborating with a “foreign constellation of power”. Main implementations in this collaboration takes place in Intelligence gathering, joint military operations, financing and banking, and protective legislation towards PESCI’s economic interests. The evolution of the environmental movement, and the replace of “class-struggle” for alleged “Religion Faith” international conflicts, or “gender confrontation” instead of gender-equality — are issues also in the scope of an analysis the PESCI phenomena. The Berlin Wall geopolitical aftermath, which marked the end of the Cold-War era, gave a series of transformations in the international political society. One of these was the emerging of a trans-national Politic-military Establishment Serving INTERNATIONAL Corporate financial & business Interests. Prominent right-wing leaders in different countries to serve the interest of a corporate system they form part of. Traditional “class-struggle” nowadays negated in most of world societies, as the formerly ideological confrontation between Capitalism and Socialism in the frame of the Cold War. In geopolitical terms “P.E.S.C.I.” represent the opposite, like a global disarray of seven plagues. So, what/who is PESCI? I.e., facts indicate that C Bildt’s ”Swedish” foreign policy (determining Sweden’s military strategy as well as Intelligence and military operations) is NOT inspired or implemented in the national interests of Sweden. Those foreign policy decisions made by Minister Bildt follows paramount PESCI interests, NATO’s interest. Another example is the multinational cooperation in the production of Swedish weaponry (the ”Swedish” JAS attack plane, in fact a Swedish/UK/US joint venture). Another difference between “US Imperialism” and “PESCI” is that leaderships in the governments in the PESCI constellation are at the same time a FINANCIAL PART of the corporative system (the ultimate PESCI decision-power) that their local governments serve. Unlike traditional “US Imperialism”, with base in Washington (and Wall Street), where satellite local governments were kind of underpaid marionettes, PESCI has top-level coordination forums. And THIS IS where the half-known Bildergerg Group fits in this context. Another difference. Under the current PESCI era, traditional “left” or “trade union” opposition has been rather lame, unlike it was during the anti-Imperialist movement of the 60-80’s. We missed PESCI developing in front of our nose, while rather indulged on “global warming” discussions instead of focusing in the particularities of this financial-politic-military globalization. Would this explain that several ”environmental” parties in EU turn showing (environment aside) they in fact support PESCI-pro legislations? M Ferrada de Noli. “Sweden VS. Assange. Human Rights Issues“. Libertarian Books – Sweden, 2014. M Ferrada de Noli. “The Pesci Theses“. The Professors’ Blog. 21 July 2013. Carl Bildt is not the prime minister of Sweden, but its foreign secretary. He is on paper the current Minister for Foreign Affairs but an acting White House Press Secretary. Thanks for making your excellent book available on the web gratis. 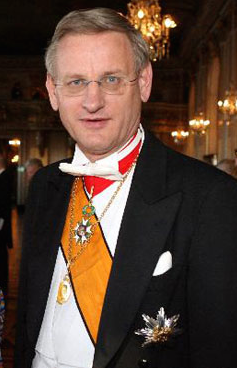 Bildt was a former Prime Minister of Sweden.